Microsoft has, as of Build 17713, released July 11, now forked Redstone 5 into its own branch, in preparation for the next Windows 10 feature release. For now, those who opted into the "Skip Ahead" ring are being put back into the "Fast Ring," with the "Skip Ahead" option temporarily disappearing from Settings. Microsoft will be re-opening Skip Ahead "in the coming weeks," and will require those who want to opt in to do so again. Microsoft will stop serving one of three types of Windows 10 updates, contending that the updates have been superseded by an even small and more efficient format. Delta updates are due to disappear early next year, Microsoft said, with their demise effective Feb. 12, 2019, that month's Patch Tuesday. Two formats will then remain: Full updates and express updates. Microsoft has been testing this new model internally, and says it has seen “promising results.” The software maker has been updating the model continuously as it’s cloud-based, and it’s now opening up to Windows Insiders to get additional feedback and testing. Windows 10 testers will start seeing the updated model in the latest Redstone 5 and 19H1 updates released to Insiders today. If Microsoft’s update model is finally fixed, it could bring an end to one of the most frustrating aspects of Windows 10. I'm hearing this Microsoft Managed Desktop is, basically, the Microsoft version of "desktop as a service." It will provide customers the ability to lease a Windows 10 device that's automatically provisioned for them and have the operating system kept up-to-date and more for a single monthly fee, my contacts say. What differentiates Microsoft's version of desktop-as-a-service from what many companies already offer under that desktop-as-a-service name is the Windows 10 updating component. Enterprise patching veteran Susan Bradley summarizes her Windows update survey results, asking Microsoft management to rethink the breakneck pace of frequently destructive patches. The reason why they are giving October 9, 2018 as the date to update by is because that is the day that Microsoft will no longer support the Windows 10 Anniversary Update. 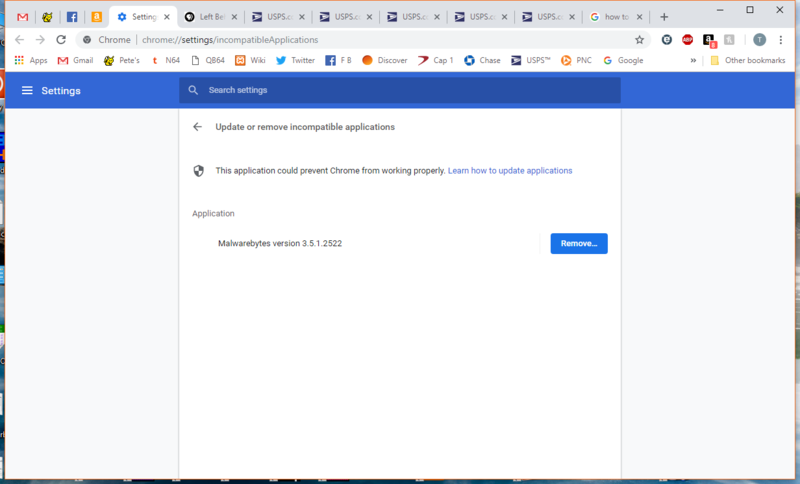 That means that users of this version will no longer receive security updates that are released and thus will no longer be protected from newly discovered threats. Users of other versions of Windows 10 will continue to receive security updates until their support ends. 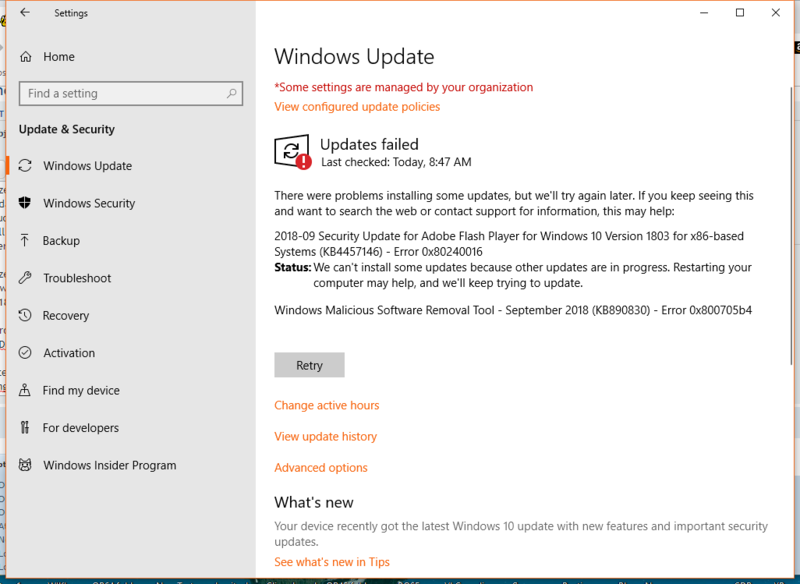 For users of the Creators Update this will be on April 9th 2019, for Fall Creators Update it will be on October 8, 2019, and for the latest April 2018 update, it will be to November 12, 2019. The Your Phone app requires an Android app to be installed to mirror phone content to a PC, and Microsoft is also planning to extend this same feature to iPhone users. Microsoft claimed photos and notifications will be mirrored from iPhones to Windows 10 PCs back at Build, but the company is only testing with Android right now. Microsoft’s latest blog post only mentions continue on PC features, and not the message, photo, and notifications sync. The Your Phone app is being tested as part of Microsoft’s next Windows 10 update, codenamed Redstone 5. This update should be available in October, but it’s not clear if Your Phone will ship directly in this update or be made available as a separate app once testing is complete. The researcher's warning is valid because HTML files are not usually associated with regular malware distribution campaigns. According to an F-Secure report, just five file types make up 85% of all malicious attachments sent via email spam campaigns. They are ZIP, DOC, XLS, PDF, and 7Z. "The only way to protect yourself is to update to the latest versions of the Edge browser and Windows Mail and Calendar applications. And, of course it's best to never open attachments from unknown senders, even if the extension doesn't initially appear to be malicious," the researcher said in a report he published yesterday, entitled "Exploiting a Microsoft Edge Vulnerability to Steal Files." Patch Tuesday fixes, as always, arrive on the second Tuesday of every month, are sometimes known as the 'B release', and are the "most important" of its monthly updates. Out-of-band releases fall outside Patch Tuesday and are employed when Microsoft urgently needs to fix security bugs or quality issues affecting many devices, for example, when a bug is already being actively exploited. Wilcox says Microsoft has "set a high threshold for releasing them". Then there are C and D releases, which happen on the third and fourth weeks of the month, respectively. They're non-security and are meant to allow admins to see and test the planned non-security fixes targeted for the following month's Patch Tuesday release. They're then shipped as part of that month's Patch Tuesday release. In mid-July, Microsoft officials said the company planned to drop support for Skype 7.0, also known as Skype "Classic" after September 1. At that time, officials said they would require users to be on Skype 8.0 on Windows desktop, as Skype 7 would no longer work. In July, Microsoft acknowledged that Skype 8.0 included many, but not all, of the features in Skype 7.0. Skype 8.0 doesn't allow users to access individual conversations in separate windows. Version 8.0 does offer free HD video and screen sharing calls, the ability to share photos, videos and other files (up to 300 MB at a time), @mentions and easier access to files, links and photos shared in Skype conversations. Approximately 78% of more than 1,100 business professionals charged with servicing Windows for their firms said that Windows 10's feature upgrades -- now released twice annually -- should be issued no more than once a year. The 78% was split almost evenly, with 39.2% arguing for one upgrade per year while 39.3% picked one every two years from a questionnaire on Windows patching, updating and upgrading. Just 11% agreed that the current twice-a-year cadence is their preference, and an infinitesimal 1% wanted an even quicker tempo. With last year’s “Windows 10 Fall Creators Update”, the UWP model changed and it became possible to install UWP applications directly from a website instead of having to go through the Windows Store. . While not exactly the same experience as ClickOnce, at least it’s a start. Concurrently, Microsoft has had a team focused on making XAML/UWP more viable for LOB applications. After a number of releases with big new features, version 1809 is, like its predecessor 1803, a relatively small release. It doesn't have splashy new features like the virtual reality support added in the late 2017 release, and it instead largely improves and refines existing features. There's user interface work—Explorer is getting a dark theme, and more parts of the operating system are adopting the Fluent Design System. And Microsoft made an effort to strengthen other features, such as a new clipboard that syncs between devices and a new screen clipping and screenshotting tool. Microsoft is also continuing to enhance the cooperation between Windows 10 and your smartphone with the Your Phone application for Android. One of the few changes that today's build makes is that a shortcut to Your Phone is now placed on your desktop as Microsoft tries to encourage its use. Facebook and Twitter Windows apps no longer run on my laptop or Windows 8.1 phone...have to use my web browser. The software maker has warned that it will stop accepting new Windows 8.x and Windows Phone 8.x apps for the Microsoft Store on October 31st, 2018. Developers can still submit updates to those apps, but that's going away in the future as well. Microsoft will stop delivering Windows Phone app updates on July 1st, 2019, and Windows 8 apps are going away on July 1st, 2023. 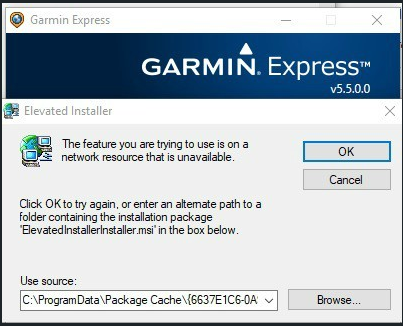 The Garmin Express install would stop on my laptop when it cannot find a network path listed. Once the Microsoft Fix it utility is complete, download and install the desired application from the Garmin software page. This will resolve MSI-related issues when installing or updating Garmin or iTunes applications. 1This software is third-party and not created by Garmin. The software is licensed and created by Microsoft. Microsoft today released a new preview for PCs with eight bug fixes. This build is from the RS5 branch, which represents the Windows 10 update the company plans to release later this year (likely in October 2018). The company is also releasing builds from the 19H1 branch, which, as its name indicates, will arrive in the first half of next year. Original battery I saved is now charging. One hour to full charge. May have nothing to do with sleeping problem. Windows 7 is projected to reach the end-of-support in January 2020 for consumers, but Microsoft is offering paid extensions for Windows 7 security updates. Microsoft has also decided to extend the support cycle for businesses using Windows 10 to help them make the shift to modern desktop. In a blog post, Microsoft announced that they will be extending the support cycle for businesses running Windows 10 Enterprise and Education from 18 months to 30 months for feature updates released this month and later. Windows 10 Pro and Home will continue to have a 18 month support cycle for released feature updates. The next update will perform some of this management automatically. As part of its Storage Sense feature, Windows will be able to automatically remove the local copies of OneDrive files (unless they've been set as always available offline). The operating system will determine which files to remove based on when they were opened: files used more recently than a certain number of days will be retained locally, while those that haven't been used will be replaced with placeholders. The system will remove files until the operating system reckons it has enough free space for normal operation. While the prompts can be turned off, they’re yet another example of Microsoft infesting Windows 10 with annoying ads and pop-ups. Some similar prompts already appear and attempt to push Chrome or Firefox users to use Edge, but this latest one steps up Microsoft’s war against Chrome even further. It’s not clear why Microsoft thinks it’s a good idea to include these irritating prompts, as all they’re likely to do is anger Windows 10 users rather than convince them to switch to Edge. 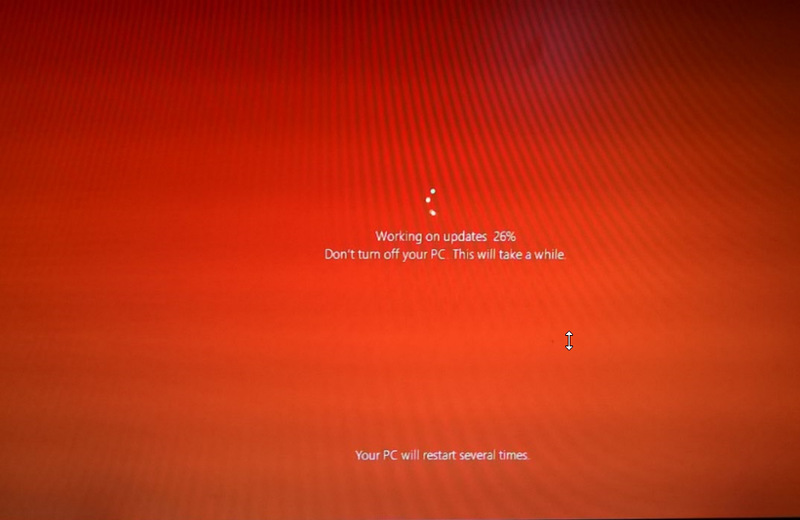 Four Windows 1803 updates in 3 days? One successfully updated twice! Laptop froze on 9-13 two times. First time it updated and second it scanned disk. The companion device framework (CDF) APIs enable wearables and other devices to unlock a PC. In Windows 10, version 1709, we introduced Dynamic Lock, including an inbox method using Bluetooth to detect whether a user is present and lock or unlock the PC. Because of this, and because third party partners didn't adopt the CDF method, we're no longer developing CDF Dynamic Lock APIs. The OneSync service synchronizes data for the Mail, Calendar, and People apps. We've added a sync engine to the Outlook app that provides the same synchronization. The Snipping Tool is an application included in Windows 10 that is used to capture screenshots, either the full screen or a smaller, custom "snip" of the screen. In Windows 10, version 1809, we're introducing a new universal app, Snip & Sketch, that provides the same screen snipping abilities, as well as additional features. You can launch Snip & Sketch directly and start a snip from there, or just press WIN + Shift + S. Snip & Sketch can also be launched from the “Screen snip” button in the Action Center. We're no longer developing the Snipping Tool as a separate app but are instead consolidating its functionality into Snip & Sketch. Azure AD accounts can already use the Microsoft Authenticator app for two factor authentication, combining a password with a one-time code. With the new passwordless support, authentication is handled entirely by the app; the app itself represents "something you have," and this is combined with either biometric authentication or a PIN. Passwords have a long, problematic history; while they can be very strong, if suitably long and suitably random, human passwords are often short, non-random, and reused across multiple sites. App-based authentication avoids this long-standing weakness. Windows 10 October 2018 Update will be available to all Windows 10 users today, and to update you’ll simply have to check for the new updates on Windows Update. Otherwise, Microsoft will start pushing this to existing machines next week with its monthly Patch Tuesday. Windows 10 October 2018 Update includes a number of new features. Perhaps the largest change is a new cloud-powered clipboard that will allow Windows 10 users to copy content across machines, and store a history of copied content in the cloud. It’s particularly useful if you use a desktop PC at home or work, and then a laptop on the go. Laptop upgrade took 2 hours to download and install before reboot TWICE. Power button push to sleep and second push rebooted PC again with failure. Microsoft announced a new feature for Windows 10 1809 today that will let Android phone users view and use any app on their device from a Windows desktop. The feature, which Microsoft is referring to as app mirroring and shows up in Windows as an app called Your Phone, seems to work best with Android for now. Although Microsoft did announce the ability to transfer webpages from an iPhone to a Windows 10 desktop so you can pick up where you left off on mobile. Several users who lost their personal files after updating have shared their story on Reddit and other places over the last two days, though it’s still hard to know if the issue is really widespread. The main issue seems to be that in case documents saved in the user directory are lost, users find that the Windows.old folder is empty and rolling back to the April 2018 doesn’t restore lost personal files. After 2 tries on my laptop, SDD drive failed to boot 2 days later. Now using previous hard drive and updating it VERY SLOWLY over 2 hours for one update! Results were no errors on all 3 partition drives. Replaced old HDD with SSD drive again. 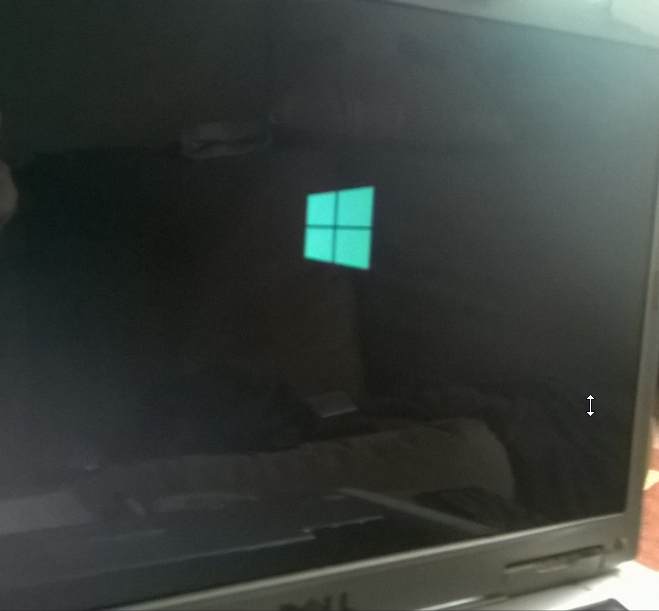 Boot screen says Attempting to repair... then asks to shut down, Advanced or go to Windows 10. Went to Windows 10 and PC works again...perhaps the scans fixed something? The previous system shutdown at 2:44:43 AM on ‎10/‎5/‎2018 was unexpected. 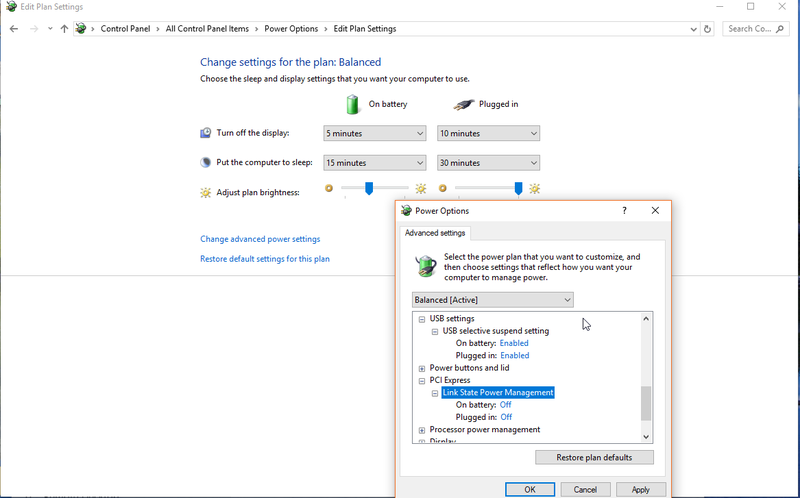 See the directions on page 3 at top for easiest fix using Powershell! Yesterday Microsoft pulled the Windows 10 October 2018 Update as some users were reporting that they were missing files after the update had finished. Later in the day, the head of the Windows Insider program, Dona Sarkar, announced that Microsoft tech support has the tools to recover the missing files. She further suggested that those users who were missing the files call Microsoft support at +1-800-MICROSOFT for assistance. Microsoft is now re-releasing the Windows 10 October 2018 Update to Windows Insiders, before rolling it out more broadly to consumers. “We will carefully study the results, feedback, and diagnostic data from our Insiders before taking additional steps towards re-releasing more broadly,” explains Cable. A more recurrent problem for Windows as a Service users has been the availability of disk space before system upgrades. Windows 10 feature updates can take up about 3GB of disk space. Microsoft seems to be noticing that the requirement to access such a hefty chunk of storage space every six months isn't working well for some Windows 10 users. 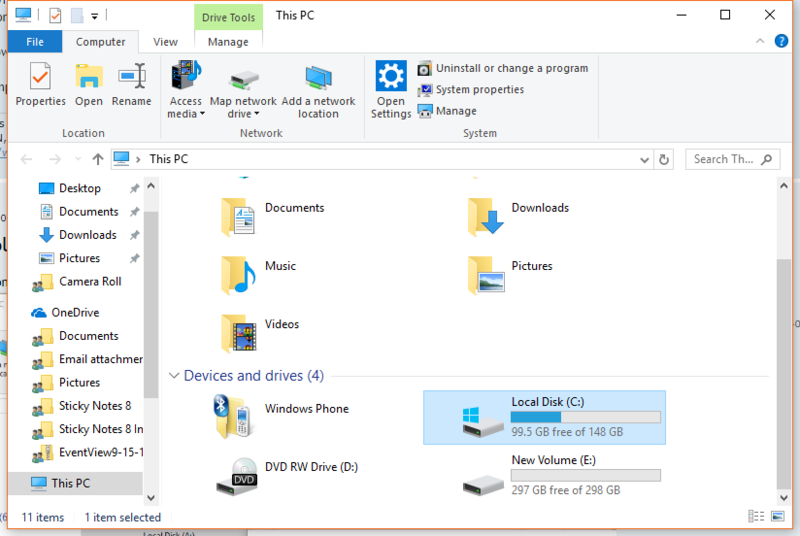 Microsoft offers some advice to consumers on freeing up Windows 10 disk space at this page. The schemes include using OneDrive Files On-Demand, the Disk Cleanup tool and Storage Sense, which automatically moves infrequently used OneDrive files from local storage to storage in Microsoft's datacenters. 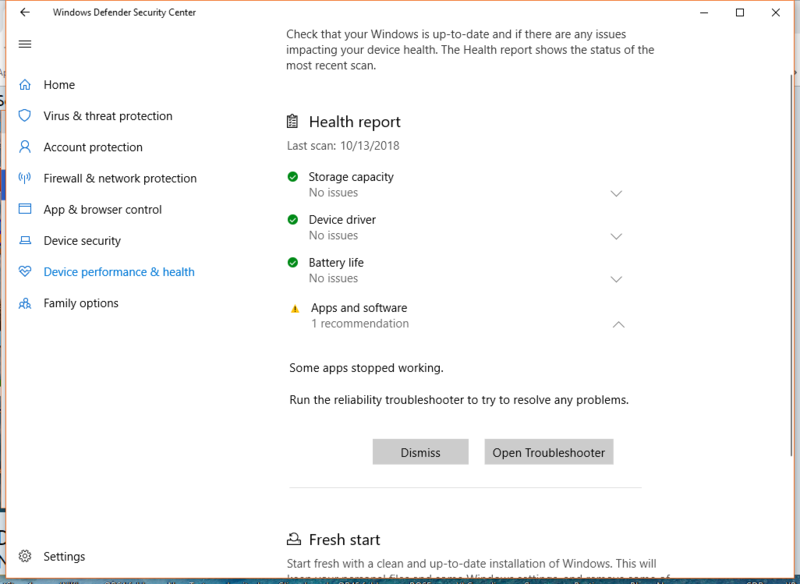 Now when Windows 10 Insiders submit a bug using the Feedback Hub, they are able to assign an a severity level describing how much the problem impacts the user's experience. This impact level can range from "Minor issue" to "Broken or unusable experience" as shown below. Desktop PC Logitech mouse quit.